Provide your guests and staff with an outdoor handwashing station at your event by using portable sinks and supplies. You can add a portable sink to your existing portable restroom or create a free standing unit. Dual stations allow two users to operate the sink at one time, cutting down on wait times. For other useful janitorial supplies, check out our all purpose cleaners, commercial paper towels, and restroom cleaning supplies. 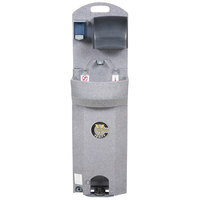 If you're wondering where to buy crown verity portable hand washing stations and supplies, we have a large selection of crown verity portable hand washing stations and supplies for sale at the lowest prices.